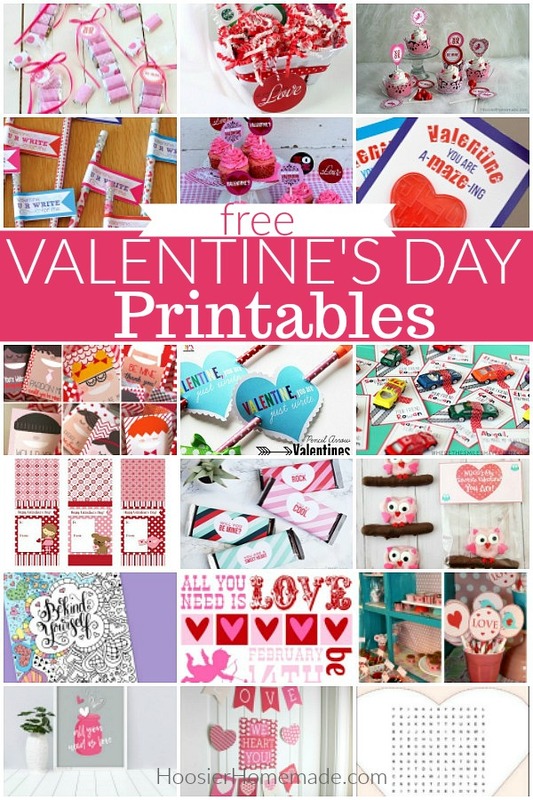 These Valentine’s Day Printables include cupcake toppers, decorations for your home, classroom treats, gifts, cards, coloring pages and more! 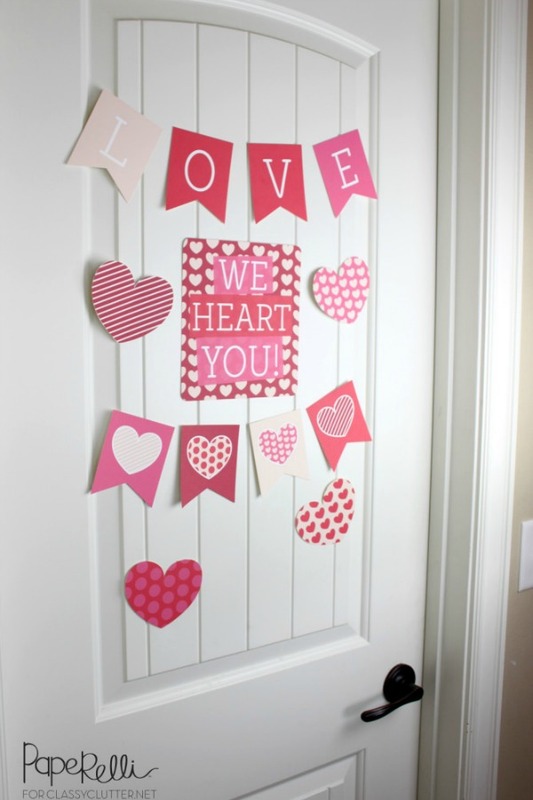 Surprise the ones you love with one of these easy Valentine’s Day Printables! 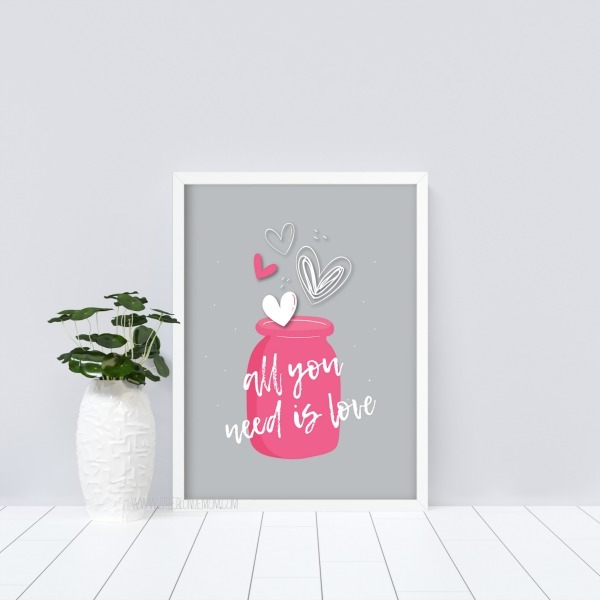 Click on the link below the photo to grab your free printable. These Easy Valentine Treat Bags make a fun gift for teachers, class mates, friends, family and more! Put together these Simple Valentine’s Day Gift Ideas in less than 5 minutes! Gifts for teachers, friends, neighbors, coworkers and more! 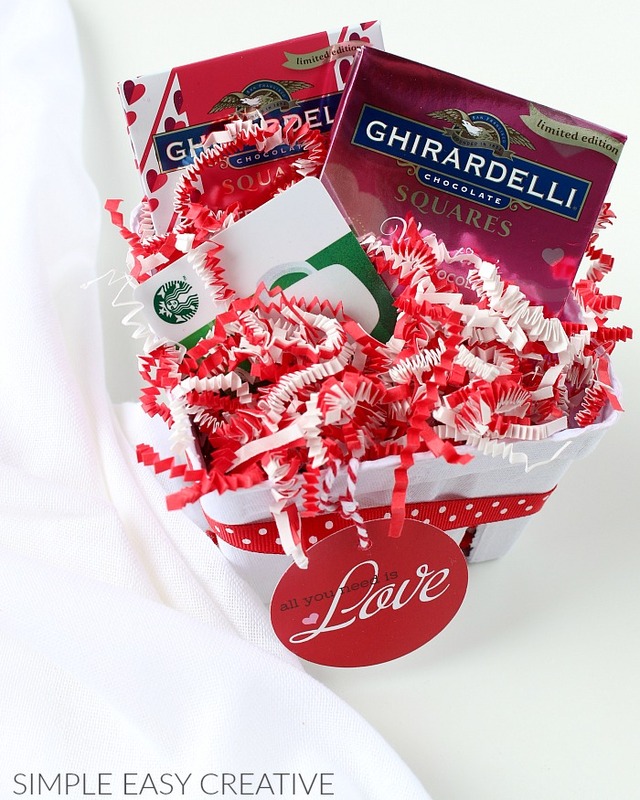 Add the printable to any of the 5 gift basket ideas. 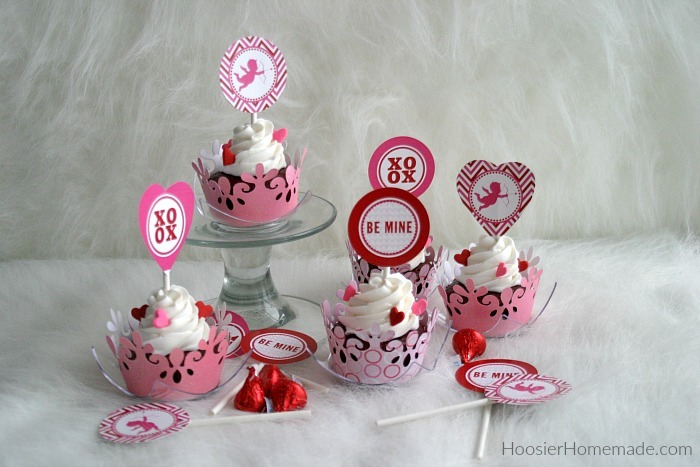 Use these toppers for treat bags like the ones above or use them as cupcake toppers. 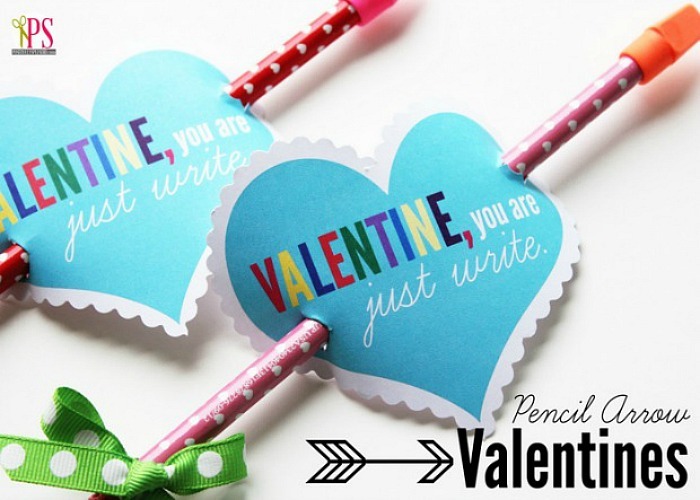 No need to run to the store and buy Valentines! 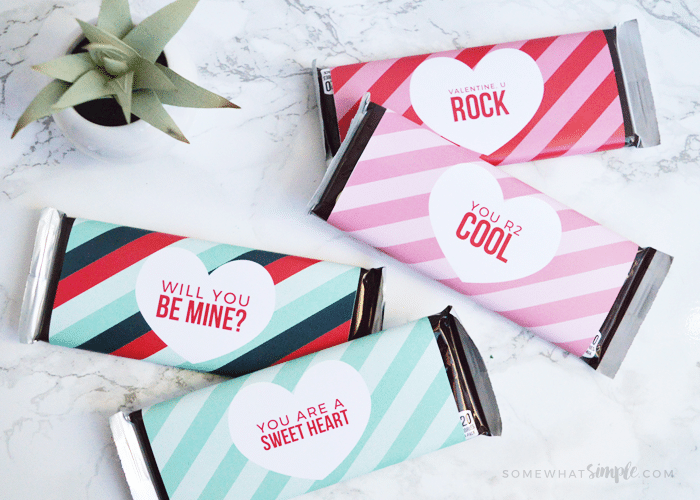 These adorable Printable Non Candy Valentines are perfect for classroom parties, friends and more! Print them on your home computer, and let the kids add the pencils! 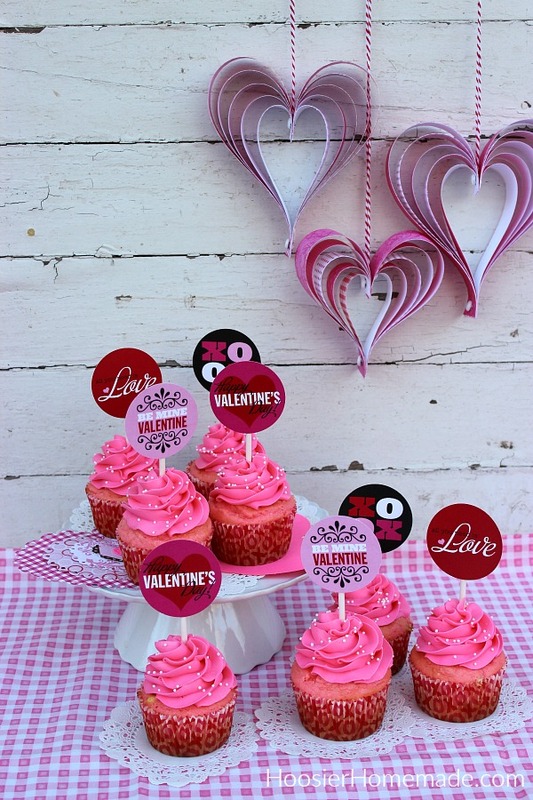 There are 4 different designs available in this set of Valentine’s Day Cupcake Toppers – All you need is Love, Happy Valentine’s Day, Be Mine Valentine and XOXO! 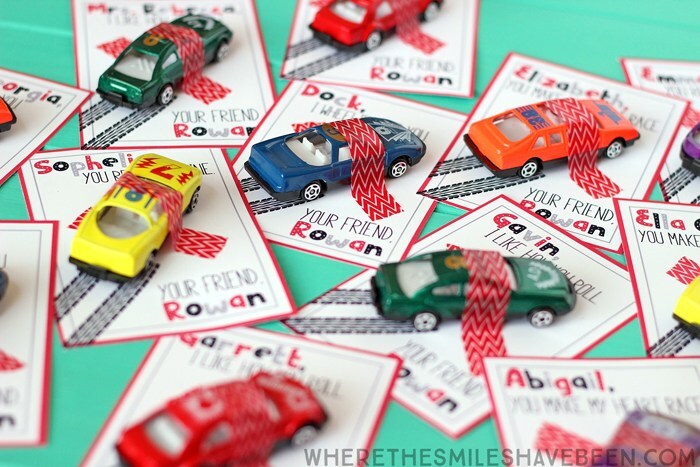 These fun printable cards are perfect for Valentine’s Day Classroom Parties! 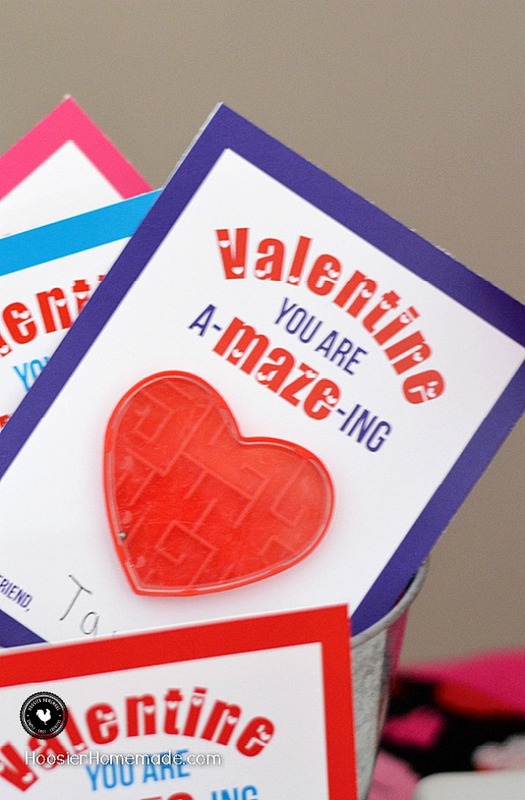 “You are A-MAZE-ing!” Print these out to share with the classroom, neighbors, or as a fun to give to neighbors. 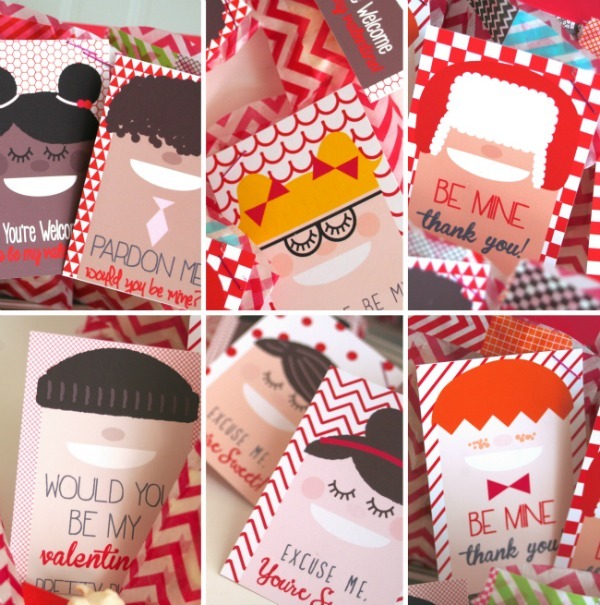 These are Valentine’s Day cards that are easy to print, but so much fun to hand out. 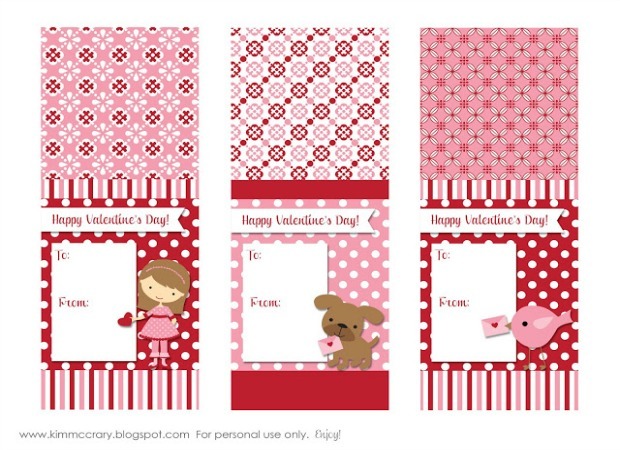 Add these Valentine’s Day Cards to the outside of treat bags, or print as give them as cards. 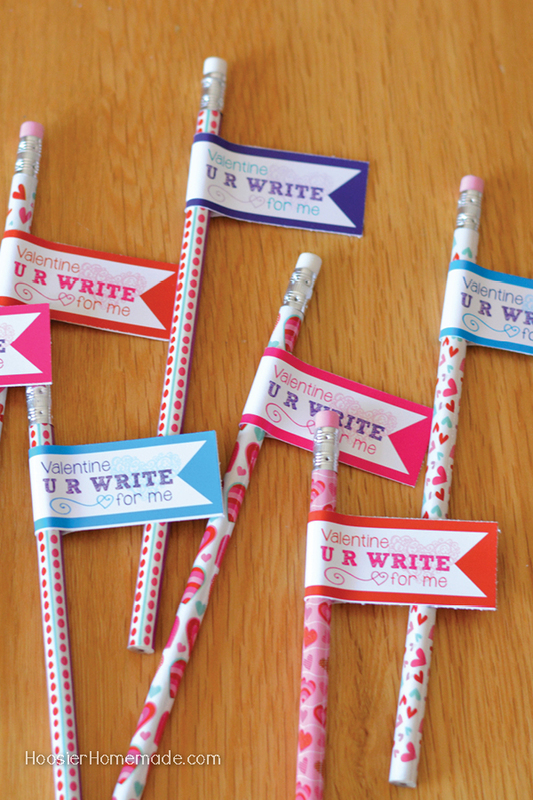 These darling pencil toppers are quick and easy for class mates. 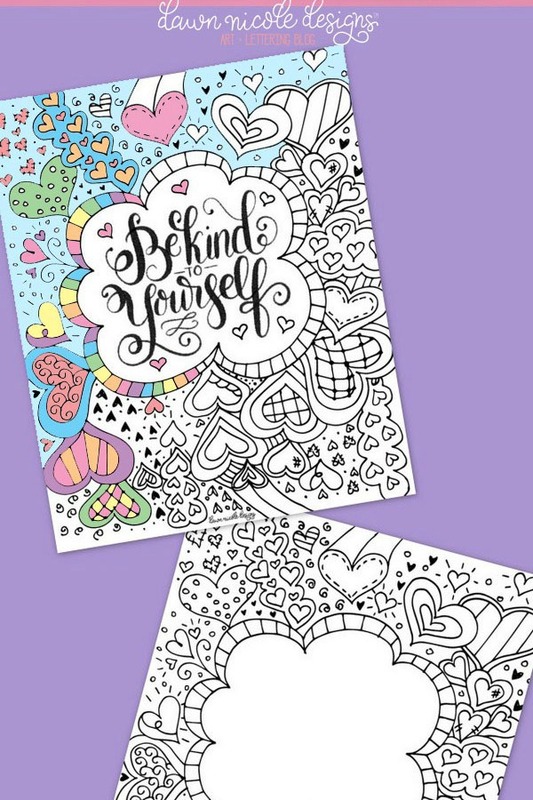 These printable cards are perfect for the classroom. Add a toy car and you are ready to go. 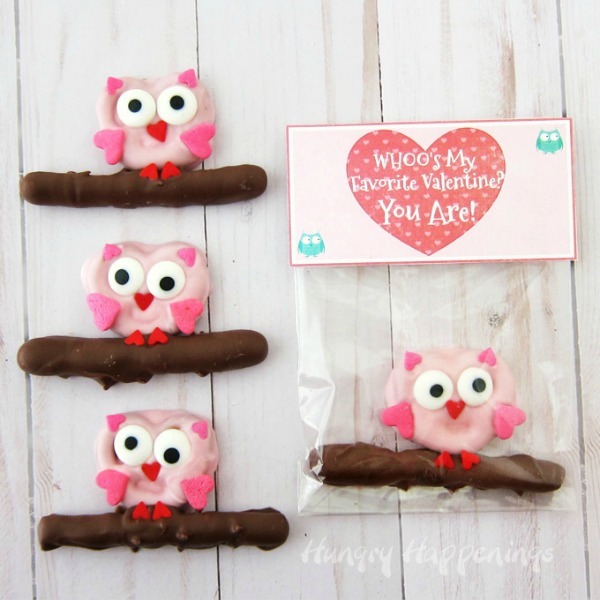 Just add a little bag of treats to these adorable Valentine’s Day Printable Cards! 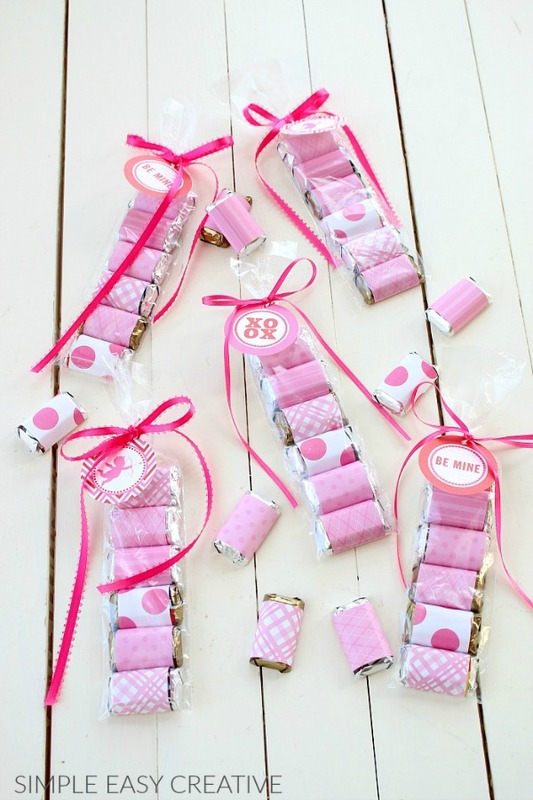 Cute candy bar wrappers that you can use for classroom treats, teachers, friends, neighbors or even the post man. They are an easy way to tell someone you are thinking of them. How cute are these?! Beth shows you how to make the pretzel owls and gives you the printable bag topper. Grab the markers, crayons and colored pencils! It’s time to color! 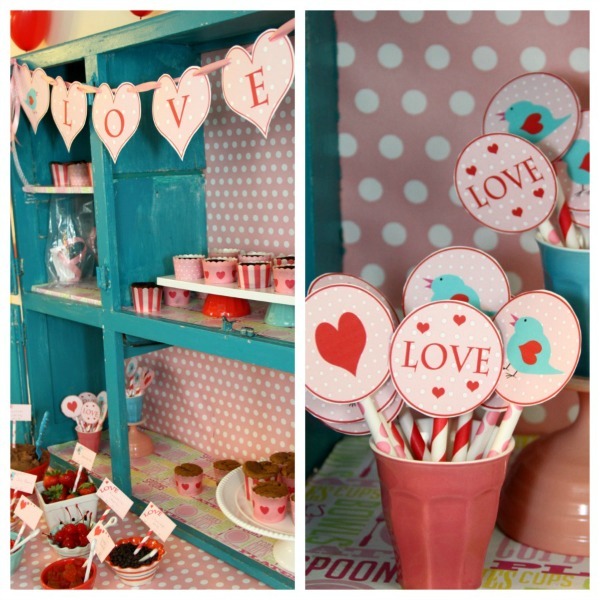 Decorate your home or throw a fun Valentine’s Day Party with these printables. Choose from 4 different prints, add the frame and decorate your mantel or wall. These would make fun gifts too! 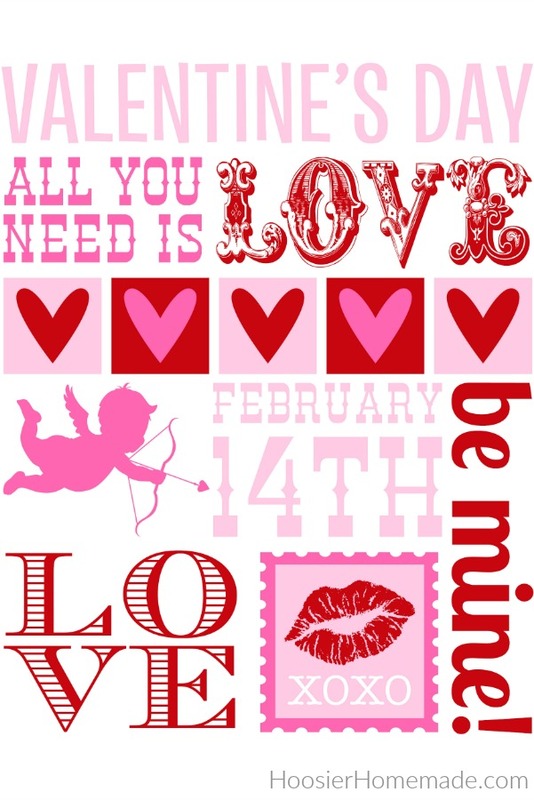 Use these printables to decorate your space, give as gifts or “heart attack” your kiddos. 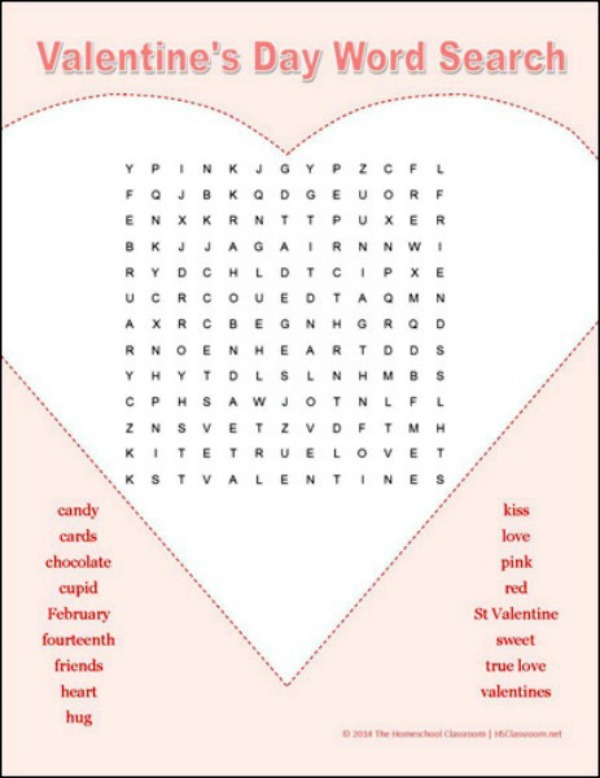 This Word Search would be a fun Valentine’s Day Printable Game for the classroom or to keep the kids busy at home. Please send me these printables. Thanks! Hi Cindy, all the printables are on this post. Just click on the link below the picture and it will take you there. It did work out for me. Thanks for sharing! all adorable.